Imagine walking through the Sahara desert. In every direction you look, you see what seems to be miles and miles of sand. The hot sun is beating down on you and you’ve run out of water. You’ve slowed your pace, and you’re in danger of collapsing and baking in this Sahara oven if you don’t find water soon. Then, as you see the sunlight reflecting off water on the horizon, you muster all your energy to run toward it. But as you get closer, you find there is no water. It’s merely a mirage. As artists working on our own marketing and branding, we often feel like we’re in the desert. We feel barely able to make it, but then something gives us hope, something gives us the feeling that we’re making great strides — but it’s only a mirage. I was feeling especially kind and non-confrontational that day, so instead of challenging them and giving them a much-needed dose of reality, I simply asked how they knew. They told me about all the things they were doing and all the places they were doing them. Frankly, it wasn’t much and hadn’t been going on for long, and they had barely scratched the surface. By asking questions, I was finally able to get them to come to that conclusion on their own. Their perception had been that they were known, even a household name, but it was all a self-imposed mirage. The reality is that they were barely known, if known at all. As a marketer, your self-confidence (or your ego) can kill your business. When you think you’re doing well, when you think you’re doing everything you can, you start to believe that is enough. I’m at my own event, with my tribe, I’ve spent tons of time and money on marketing, I’ve told my story a thousand times, yet this person was unaware. I felt completely stupid and realized I had become overconfident. 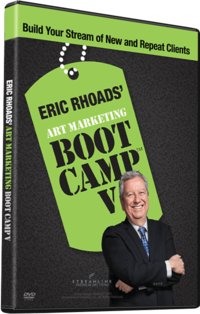 The next morning, when I went on stage, I started Art Marketing Boot Camp with my story, because if there was one person there who didn’t know it, chances are there were others. Remember that marketing team? After all my questions, I told them that there was a very big chance that they were known by only a small percentage of the entire market. Others might be aware of the company’s name but not know what it does. But we need to understand that there are always people entering and exiting the market. Through attrition, our customer list is always changing, on average by 10 percent each year, and in bad economic years, by 30 to 50 percent. The reality is that most people don’t pay close attention. They don’t read things we think they should read. They skim a lot of things. And since the average person has to be hit over the head about a dozen times with seeing or hearing your message before they become a prospect, you have to be constantly pushing and repeating that message. And don’t assume they saw or heard it every time you ran it. Also, repetition fades with time, so you have to compress time by being seen more frequently over shorter time periods. On stage recently I asked the audience how many had seen ads for “MyPillow.com.” In a room of 1,000 people, only about 30 hands went up. I’ve seen these ads on TV probably a hundred times in the last year, yet only 3 percent of the room was aware of them. After seeing the ad for the hundredth time, my wife finally bought the product. Every buyer has their own timing. Your campaigns need to repeat your story and message to the point that you are personally sick of it and think others are as well. Even then, you’ve tapped only a small percentage of a market, and sold only a small percentage. It all works due to the volume of people being reached and the constant repetition of the message. I’ll bet if I asked the CEO of the company that makes MyPillow, he would say the world knows about his product because of the thousands of people reached and the large number of orders coming in. Yet he would be embarrassed and frustrated with the 3 percent of the room I surveyed. His marketing person, on the other hand, would probably understand that more time will be required to reach more people, and even then, not everyone will be aware. Don’t get overconfident and think the world knows about you or knows the details about your product. Overconfidence will lead you to think you’re big when you’re not, and will lead you to reduce or stop your marketing because you believe that, or because you’re seeing some results. 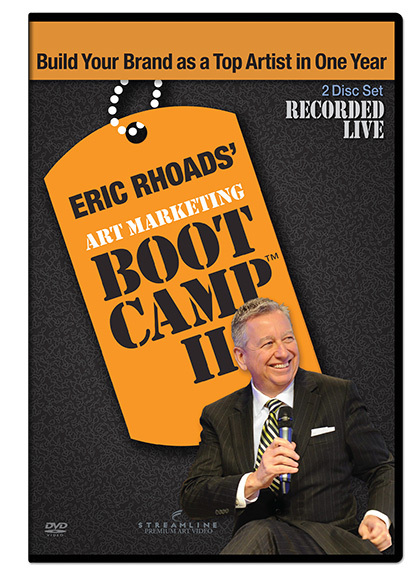 Marketing is like a jet that never lands and has to be continually refueled in the air. If you land it, you lose momentum and it’s much harder to take off again — and you’ll see a reduction in business before long. A great marketer understands the land of danger and the mirage of assuming people know who they are and know their story. A great marketer never lands.